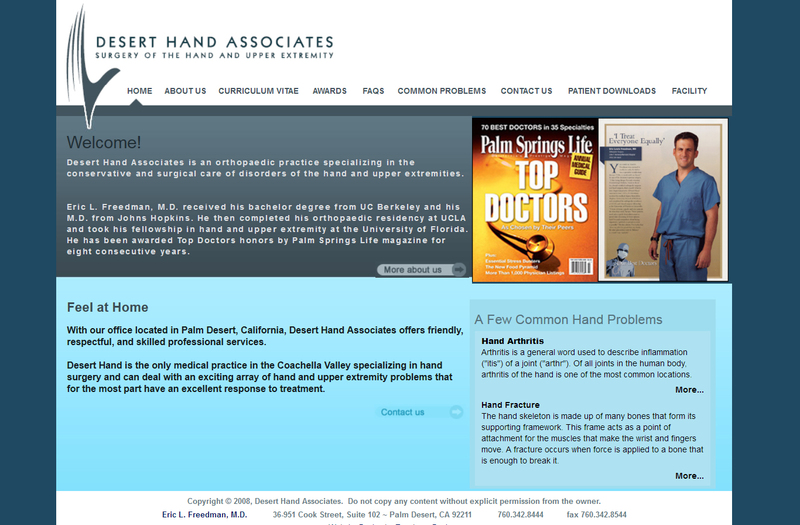 Desert Hand Associates with Dr. Eric Freedman, is an orthopaedic practice specializing in the conservative and surgical care of disorders of the hand and upper extremities. Located in Palm Desert, California, they offer friendly, respectful, and skilled professional services. Desert Hand is the only medical practice in the Coachella Valley specializing in hand surgery and can deal with a broad array of hand and upper extremity problems.